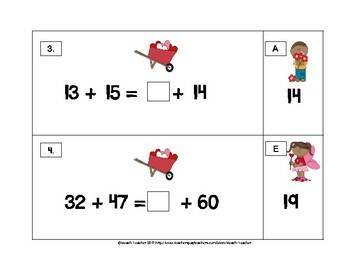 This Valentine's Day themed math center enables students to practice balancing equations with 2-digit numbers. 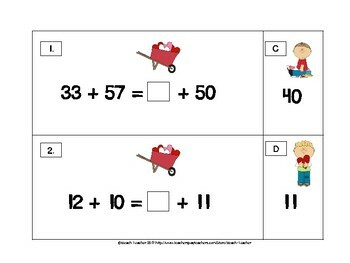 Students match the children to the correct cart by balancing equations. 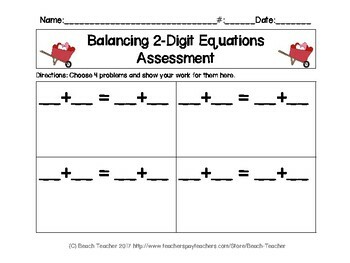 There are 12 equations, a show your work page (which you can laminate or place in a sleeve), an assessment page, and an answer key are all included in this product.